Tammy LaBorde received her Undergraduate Degree with a Bachelors of Science from UW-Milwaukee in Social Work and a Masters Degree of Science in Education from UW-Oshkosh with the emphasis in Special Education. 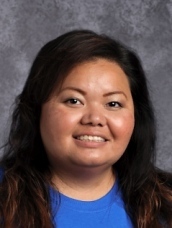 Most recently, she received her administration certifications for Principal and Director of Special Education from St. Mary’s University in Minnesota; which, lead her to her desire to be a Dean of Students. Tammy has been in the Appleton Area School District (AASD), Special Education field for 20 years in various capacities. For one year, Tammy served as a Cross-Categorical educator at the Elementary K-3 level, for 14 years she served as a Special Education teacher at the Elementary level working with Emotional Behavioral Disabilities students, for one year at the Elementary and Middle school level working with Learning Disabilities students, and in 2013 joined the Student Services Leadership Department as one of the Special Education Diagnosticians/Program Support Teachers. Tammy’s Social Work background lead her to her true passion of wanting to teach students, teachers, and staff as well as leading her to her deep philosophy in believing that: Every child can learn and it is our job as educators to find the best way to meet their needs. Tammy has developed and presented many professional staff development opportunities in the area of behavior and special education, joined the RTI Task Force, joined the PBIS District Leadership and ACE Committees, worked with the high school math committee in updating curriculum, attended bi-monthly regional Program Support Teacher meetings, supported students and teachers both behaviorally and/or academically, case managed initial Individualized Education Plans for newly identified students, mentored new special education staff members, facilitated high functioning special education PLC’s, was a District Trauma Trainer and worked closely with district ELA coaches and special education administration in developing a special education cohort for ELA studies on struggling readers. Tammy has extensive training in Non-Violent Crisis Intervention, served for six years as a Senior Positive Behavioral Supports Systems (PBIS) coach within her elementary school experience, was a new teacher mentor for ten years, a supervisor of student teachers for seven years, supervised practicum students for nine years, and performed leadership duties for the administrator in her building for six years. Tammy was highly active on the building CSIP team for ELA and PBIS. She has attended multiple professional development opportunities and institutes in the areas of ELA, Mathematics, Behavioral Disabilities, Specific Learning Disabilities, and Autism. One of Tammy’s biggest contributions to the AASD is her years of work on the Special Education Math Core Team working with other professionals to develop special education screeners for special education teachers, utilizing the district elementary math curriculum as a guide. These screeners were the first developed in the state and have been referenced by DPI members during presentations statewide.